Kick it up a notch with Lindy’s green chile sauce that is the base for this great combo! Red onion, fresh tomato, black olive, chicken breast, cheddar cheese and green chile makes this a tasty southwestern pie you won’t forget. 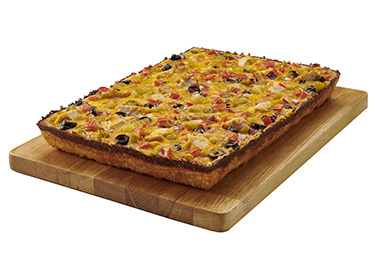 Available in hand-tossed round, square pan or thin crust.